How's it going? Did your week whoosh by? Did you get a chance to uncover and set up the patio furniture? Change the filter on the air conditioner? Finish up your spring cleaning? Or did you put your prior itties in the proper order and get crafty instead? I'm showcasing a NBUS "Perky Poppy" die from Memory Box. The e/f is "Poppy Field" by Darice and the snippet of DSP is vintage from SU. Using a Thinlits die from SU, I made the fishtail banners from the remaining snippet of e/f paper and a snippet of text DSP from my stash. A piece of twine and ombre heart Washi tape round out the ingredients. There aren't many tags in the gallery yet. Jeanne has given you many ways you can go with your interpretation, so I hope you will be able to play with us before the challenge closes! 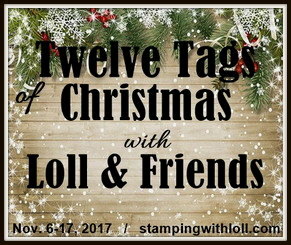 I'm also sharing my tag with my friends at Pixie's Snippets Playground where the only rule is you have to use your snippets! The NBUS giant hugs is from Casual Fridays Stamps "Mwah" set. 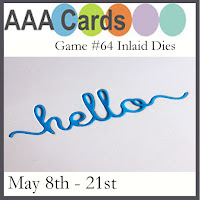 AAA Cards: Inlaid Die Cutting. Addicted to Stamps and More: Clean and Simple. Sediment is from Your Next Stamp. The border snippet is made from the reverse side of the floral paper. Go me for using pp! 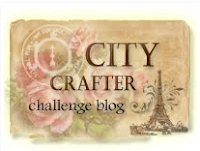 City Crafter Challenge: Pretty Pink 'n Pastels. HLS May CAS Challenge: Inlaid Die Cutting. 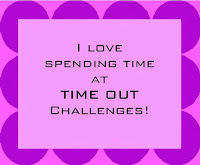 TIME OUT Challenges: May all your weeds be wildflowers. Bloggie Friend (BF): You always make me laugh, Darnell. What makes you laugh? I am pickled tink to welcome another five new friends today and I hope you will be able to visit them soon and introduce yourself! Janet of Stamping with "MOO". Janet started her blog in 2007. In 2008 she discovered challenges. She posts intermittently as she works full-time and also enjoys hiking, biking, kayaking, hot-rodding, and motorcycling! It's wonderful that she enjoys so many hobbies and makes such delightful cards for our inspiration! Glennis F. of Creating Cards. Glennis began blogging in 2010. Unlike me, Glennis is a woman of few words, but that's okay. Her wonderful gallery-style of blogging allows us to scroll along the page and see lots and lots of extraordinary cards. You'll also notice that she is regularly recognized by challenges for her beautiful designs! Cara Gregory of Crafting Bunnies. Cara started blogging March 2015. Happy belated blog birthaversary, Cara! As her blog name suggests, Cara has two crafty bunnies ~ real critters, not imaginary like my Hammy! Cara started blogging in order to join in challenges and it's been a treat to get to know her and enjoy her delightful card art! Lisa Tilson of My Card Trip. Lisa only started blogging in February of this year, so please make an extra special effort to click over and welcome Lisa to our wonderful community in Blogland! 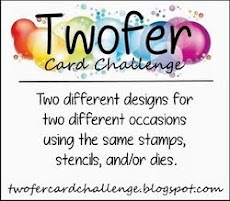 After making cards for years following in her mother's footsteps, Lisa started stalking blogs (especially Jennifer McGuire and Kristina Werner) and taking card classes to learn new techniques. Then, lucky for us, she started her own blog! Heidi Stamps of My Little Stamping Blog. Heidi started blogging in 2014, but she has really gotten passionate about it this year. Her card art has received recognition in challenges and I think you will be delighted and inspired by her cards, which I find to be uplifting and cheerful! These are gorgeous! LOVING all the PINK!!!!!!!!!!!!!!!!!!! Beautiful, Darnell! Love both the tag and the cards with that beautiful die! Did I hear you say 'thou must not lust after your neighbor's stuff?' Arrgh! WOW!!! Beautiful cards and tag..love your poppy die too much...so beautiful..
Great cards.. love the poppy..love the technique.. LOVE the cartoon.. my husband tried having blood taken .. after the third try the gal said "I guess I need to go get my glasses" Youza.. Jumped into your fray from Tag Your It!. Couldn't wait to tell you how sweet you mid-term tag was then got hit between the eyes with these two lovely cards. Looks like the patio furniture and window cleaning will have to wait at your house for a while because you're on a roll. And using DP, too. So ashamed, my stash hasn't dwindled much. So today, I'm saying you're the Princess of Pretty Pink Paper...and, oh yes, diecuts. Two gorgeous cards and tag. I do like to see poppies on a card. We don't cover up our garden furniture as it is wrought iron but The Doc does set the fountains up each year. We have 4 of them in the garden an himpessive loins head one, a kaskadin urn, a birdie bath style and a leaky tap that pours into a leaky bucket. (They work on solar power do as long as the sun shines they sprinkle. ) just spent the last week planting up a 20ft long herbaceous border. It does have poppies in it too. Anyways I have not been in my craft room so will have to make do with oldies. Hugs Mrs A. Beautiful tag and I'm loving those cards. The paper is just beautiful. I laughed out loud at the cartoon! I'm glad to see you do have your priorities straight. Housework and yardwork are overrated anyhow. Wow!! 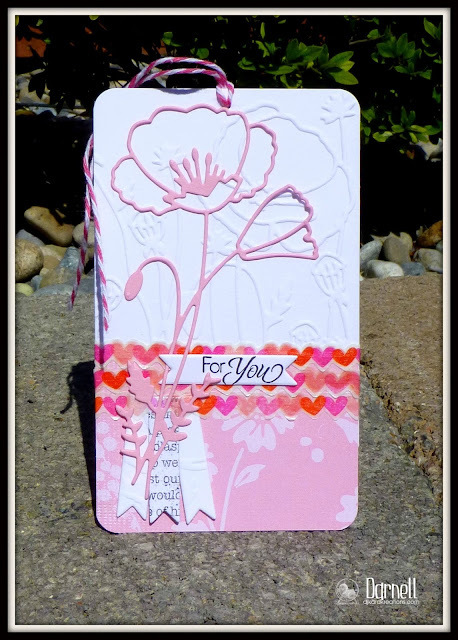 I love that delicate Poppy die!! your tag and each card are so beautiful! It is great to see you back in the Playhouse friend!! Poppies, poppies everywhere - and ALL so beautiful! You've been as busy as a bee and I love all of them. (cute toon too. I love it when the doctor tells you 'this is going to sting a little bit.' That means to hang for dear life cause it's going to hurt like the dickens! LOL!)! Wow Darnell, so beautiful makes! I love your color palette in all of these and the inlaid die in your TO card looks just stunning. I also like the added white stripes. Very stylish. Thanks for taking TIME OUT and playing along in our challenge! Darnell, those pretty pink posies are so beautiful. Love both cards and tag. Perfectly, pretty, pink poppies, my friend! You got your money's worth out of the DP, Darnell. Wonderful cards with that poppy die. And tag. I can't forget the tag and thanks for promoting Tag You're It! Perky Poppy is a fabulous die Darnell. I love your tag especially with the poppy e/f background. The cards that you and Hammy made are equally amazing! We were so happy to have you as our guest this challenge! Have a great weekend! 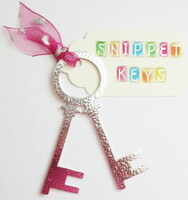 Love these pink poppy creations. Thanks for linking up with one of them at AAA Cards. LOVE all the pink! You CCCB card with the pink BG is stunning! What a wonderful collection of cards and a pretty tag too! 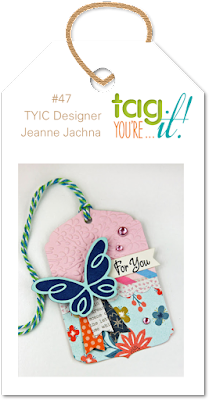 That's one gorgeous die, and I love how you used it on all of these wonderful creations! Thx for the chuckles with the cartoon too :) Happy weekend! That tag is gorgeous, Darnell!! I love your mix of pink and white with that great border of colorful hearts. Fantastic cards too! Thanks for being our guest designer! Love the inlay on the patterned paper what a fabulous idea. Your pinkies are all gorgeous! Hugs! 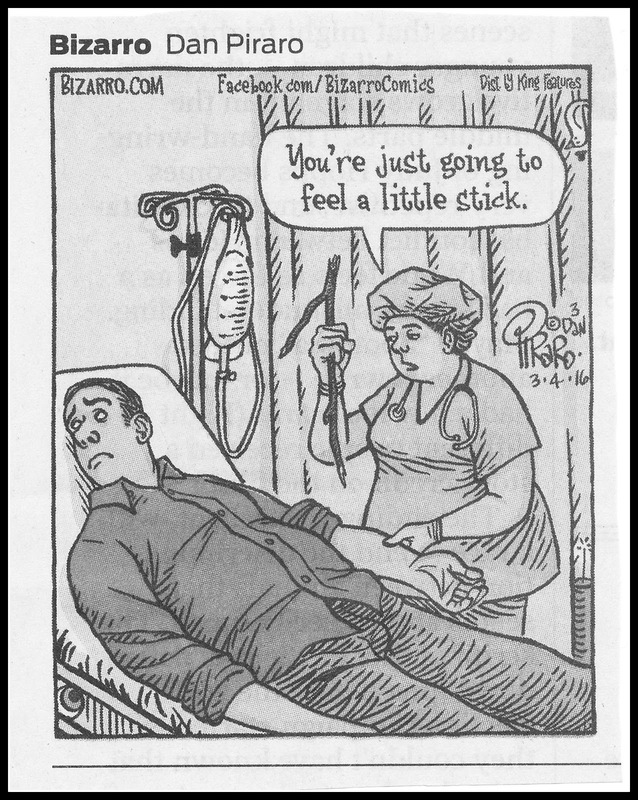 OMG - that "little stick" cartoon made me laugh out loud!! Loved it. Loved your cards today, too, Darnell...especially that last one. Simple, but beautiful. Ohhhh Darnell - not only patterned paper but a beautiful die cut as well - what wonderful creations, all three of them.!! Squeal! PINK!!!!! I love each one of these cards Darnell and of course it's so lovely that you brought on to show us in the Snippets Playground too. I do love that poppy die, ought to get mine out to play more often really. Oh those dies are so dedicated and beautiful. Love how the embossing mirrors the dies. Stunning!! Here's some more P's..... pretty perfect picture of poppies! A beautiful set of cards. Loving this die and all three creations, it works wonderfully with the EF and the paper. All perfectly pretty in pink. Hi Darnell, Loving the beautiful cards and the fabby tag. I am really into using tags embellished and then put onto a card at the moment. Beautiful cards Darnell. Love the CAS look. Love seeing how the same stash can be used for different designs. That poppy open petal die is gorgeous, as are your creations. Great to see so many different poppycards! Think I love the one with the butterfly best :) Enjoy your weekend! Amazing playing with poppy die cuts. :-) All your cards and especially the tag, are fabulous. Darnell...love all your pretty in pink cards, so sweet. You always make me chuckle... What a fun post and a beautiful array of cards and tag! Loving the pink! Thanks so much for playing along at CCCB this week! I have just noticed that you have become my latest follower and wish you a warm welcome to my blog! I am always so glad when fellow crafters are joining my followerslist! I had a look at your blog too and I like it very much, so I became your follower as well! Hope we will enjoy each others blogs for a long time to come. Beautiful tag and cards Darnell! Like your soft pinks, the negative and positive and your butterfly! Have a wonderful week! Fab pair of cards Darnell, love the poppy ef, must keep a lookout for that one. Oooo, lover-li-ness, Darnell! Beautiful inlaid die cut and the pink an white......ahhhhh. Thanks for playing along at AAA Cards and make sure to stop by for our Birthday Blog Hop! Two really gorgeous card designs Darnell. Hi Darnell--So happy you were able to stop by my blog--you've been on my mind. That tag is so unique & beautiful--love how the e/f goes perfectly with the die cut! You know I love pink & your cards are some of my favorites! Wishing you a great week, my friend! You sure have your creative mind working at full speed! These cards and tag are gorgeous! I am loving all the pink and inlays! My big intentions is sit by the pool and read only after I brush our huge dog..... I keep putting it off. Getting up right now to do it! Have a good one! Hey, thanks for including my blog link in your list! That is so fun! It is true that I got a pretty slow start blogging! I have been trying to post a lot more this year! I love your poppy cards. 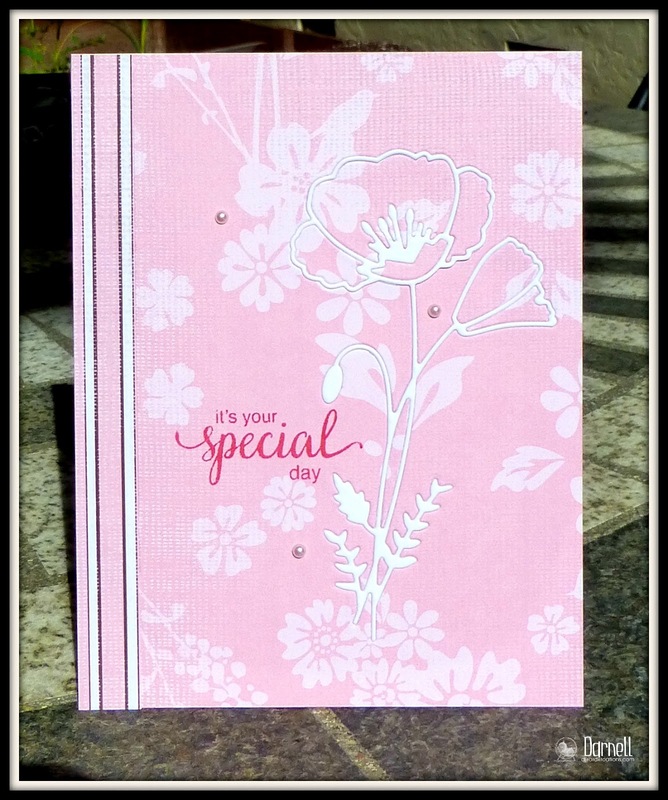 I have the Darice Embossing folder, but I love how your poppy die cut looks with that! It adds so much to the design! That is a really nice way to use that folder, even though I love it, I haven't used it so much! Lovely tag and even lovelier cards. All so gorgeously pink! Your posts always lift my day! Tag perfection!!!!! Amazing what you packed into that little thing and it still doesn't look overloaded! Pretty cards, too! Another cute tag! Hope you're feeling well! Wow, that poppy die got quite the workout! And the results are so pretty! I am so behind in visits/comments because I had a crazy week and only now start to slowly catch up! Sorry! now that's bang for your crafting buck using the diecuts and negative cuts that way--love it, Darnell! 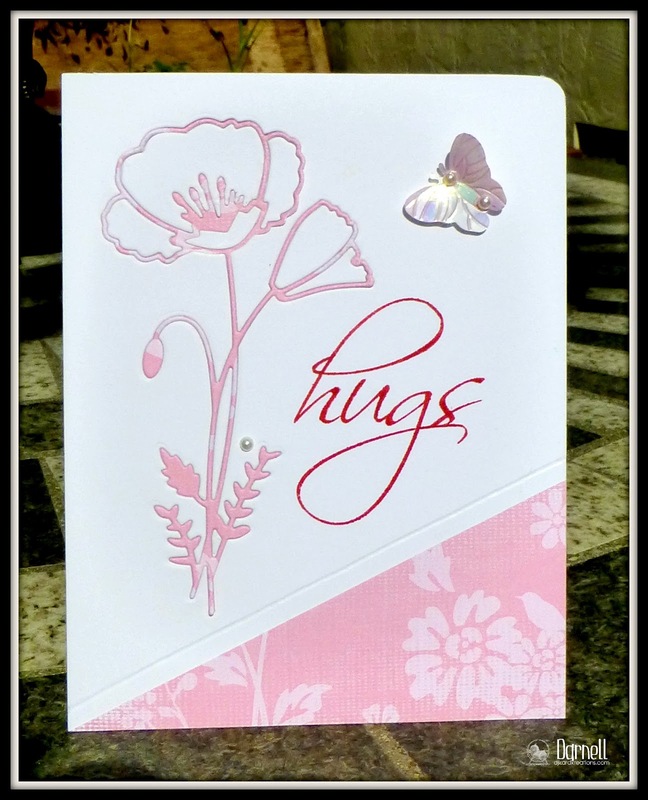 Love your beautiful cards, espcially the pretty "big hugs" one. Thank you so much for thinking of me. Hi there Darnell , great cards !!!! I am stil in California, preciseley in Temple City. Do you live around the corner ?????? These are three beauties in pink and white! Love the design of each creation and that Perky Poppy die is lovely, Darnell. Beautiful collection of cards Darnell, love the softness of them. 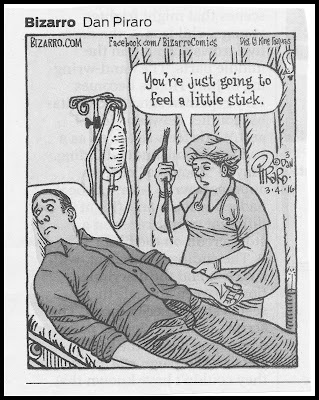 Love that comic joke so much, it always feels like a stick that big when I get an injection too!!! 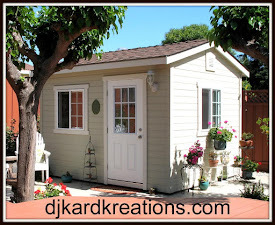 So much crafting going on in this post, you've been busy crafting and getting ready for warmer weather. 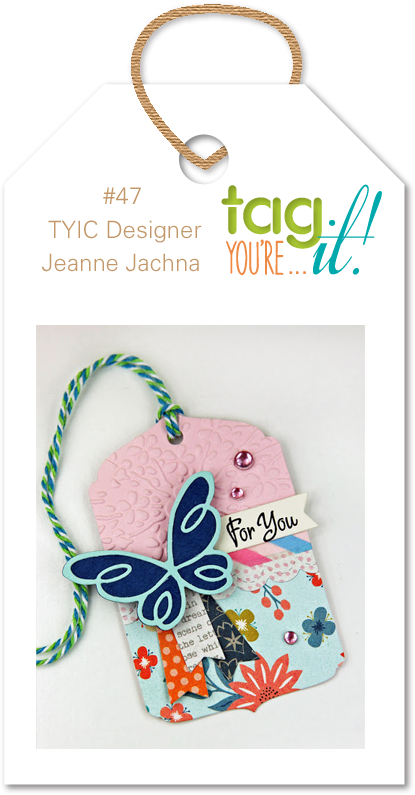 Your TIME OUT card is absolutely gorgeous and perfectly inlaid with that die-cutting and goes so well with that pretty floral paper. Always feels very satisfying to be able to make a card from leftovers, kind of like making a casserole from left-over turkey but a lot more attractive!!! And you know I always love to see you at TIME OUT!!! ... my post disappeared again! Sorry if it shows up later and this is another duplicate! Stunning creations! The MB die is gorgeous - so dainty! Pink seems to be the color that this die begs for. A subtle way to showcase the die. Love the tag (especially the rows of hearts). Adore the second card - the shimmery butterfly and the hugs sentiment rock. Third card made my heart flutter. Inlaying the diecut into the patterned paper is a match made in floral heaven! Thanks for my morning giggle - great cartoon! What beautiful creations!! LOVE that tag. So wanted to join this celebration but alas, I am always a day late and a dollar short!! Love your inlaying of that die on the third card too. Looks fabulous with the pink!! Well - you certainly have the hang of this inlaid die cutting thing down!! So cool - I am just not catching on, but I will keep trying - you have totally inspired me with these pretty and sweet cards - Your tag was beautiful and I really loved it! !